People of Rajasthan are one step ahead of others, when there is a call for celebration of festivals and events where the prestige of Rajasthan is involved. The land of Rajasthan has rich background of Royalty expressed in the existing fairy tale palaces and forts, which were constructed in which lived kind hearted, loving princes and princesses’ responsible fine art and cultural progress in the state through very creative devoted artisans of the period. Rajasthan was lucky to have chivalrous kings, holding lavish Durbars with objective of celebrations of the events in the region. All people were welcome at Durbar to witness the celebrations organized by their king. At the Durbars the brave people were honored for their bravery acts along with creative artisans responsible for their contribution towards development of fine art, which became part of the regional culture. The old trends having touch of Royalty is theme of various paintings of the time, which are found embedded in the palace walls have been very clearly depicted in the murals and frescos. The murals are seen showing people wearing bright colored dresses forming part of royal pageantry. When it comes to faith, romance and bravery Rajasthan people show up with perfection demanded out of them by the situation witnessed in the art, culture, famous musical songs and dances performed by them at special occasions. The way Rajasthan people are following the traditions whether within Rajasthan or in other parts of the country or by people settled abroad can be viewed at its best in the numerous festivals held with great pump and show in which people come forward to participate freely without any inhibitions. The life is great theatrical show as seen in all the festivals celebrated in Rajasthan. There are endless folk dances of the land with interplay of music created using locally popular instruments. 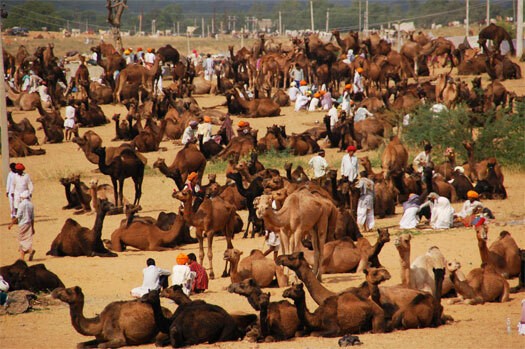 Fairs and festivals are regarded part and parcel of Rajasthan people’s life by active participation of people forgetting their casts and classes they belong to.